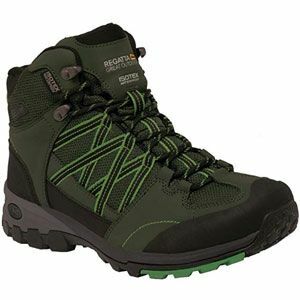 The Pros and Cons of this Regatta Samaris Mid High Rise Hiking Boots. There are some great comfort features and design elements in these Regatta Samaris Mid High Rise Walking Boots. The first benefit with these walking shoes is the comfort provided. Many users say that it doesn’t take long at all to break these in. Once they are ready for the mountain trails, they tend to hold up pretty well to the terrain and remain comfortable and supportive. The comfort here is largely down to the strong support around the ankle, the padding on the tongue and the shape of the EVA sole. The lace-up closure doesn’t hurt either for extra security. Then there is the sense that these shoes may also be built to last. Naturally, the lifespan of these walking boots will depend on the amount of punishment they take. Those that head out in rough trails in terrible weather won’t hold onto those as long as casual hikers. Still, there are some nice joins and secure moulding here that suggest that they will be pretty reliable. The tougher material around the upper and toes is sturdy, as is the tread out the outsole. 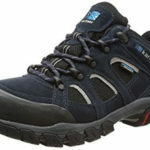 Keen walkers have compared the shoes to those of other brands and find the quality and durability to be better here. Finally, we can’t overlook the fact that this is a good looking walking boot. The blue and grey version is brighter than some may expect, but doesn’t have the over-the-top design of a sneaker. 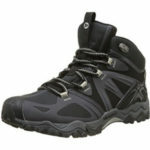 There is also a slim look in the design of the high-rise boot and the details on the side. The orange version is just as striking, while the green is more low-key for nature hikes. There are still some faults with the shape and weatherproofing of this RegattaMid High Rise Hiker’s Boot. The first disadvantage to mention with this hiking boot comes in the fit. Still, there is a strong minority that finds that the shoe runs narrow. This is a problem for all those that want to wear thicker socks with the boot during bad weather or colder months. These socks also come in handy because there are some that say that the weatherproofing only goes so far. There is a water-repellent quality to the exterior to keep the worse of the rain off. But, this material is not classed as waterproof. Those that go out in terrible downpours and puddles may struggle. 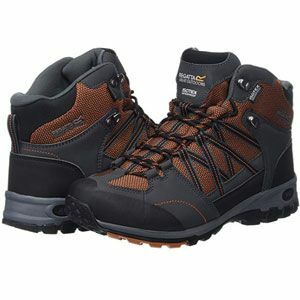 Is this Regatta Samaris Hiking Boot still recommendable with all of this in mind? These flaws can have a big impact on the appeal of this shoe. A narrow shoe that lets in water isn’t going to help everyone. However, there is enough within the specification for the show – and the positive feedback – to bring a recommendation. 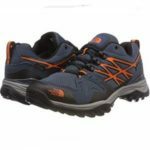 This shoe is a great looking model that has the build, strength and comfort to take care of wearers on long hill hikes. Many users have no issue with the fit or comfort and rely upon these shoes more easily than they would other pairs from other brands. 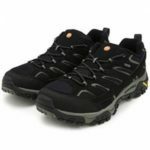 That is why these Regatta walking boots are still recommendable to those that are prepared for a little dampness in exchange for those benefits provided. 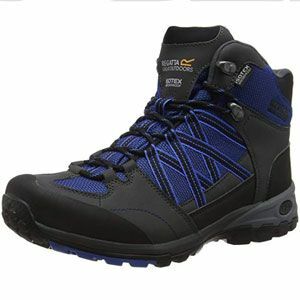 Find more reviews about the Regatta Samaris Mid High Rise Hiking Boots on Amazon here.